Peter’s non-KISS material has always been the least enjoyable of the original four members of KISS. His self-titled KISS album is pretty lame and I’ve read that 2007’s One For All was even worse. Of the five solo albums he’s released to date, I think Cat #1 is easily the best. Yeah, I know “Criss” is the name of the band and it’s commendable that he tried to get a real band going but let’s call a spade a spade and just say this is a Peter Criss album (even though guitarist Mike Stone handles vocals on “Show Me” and “We Want You”). This album may have gotten a bit more notice had it been titled as such. You won’t find any of Peter’s jazz, R&B, big band or crooning influences here. This is a hard rock ‘n’ roll album that sounds like it came out of the late ’70s or early ’80s. In short, it’s the type of album he should’ve made back then during that very time frame! There’s some great rockers like “Bad Attitude”, “Show Me” and “The Truth” and then some cool ballads as well (“Good Times”, “Blue Moon Over Brooklyn”). Peter’s always had a great soulful voice and it’s in fine form throughout the album. 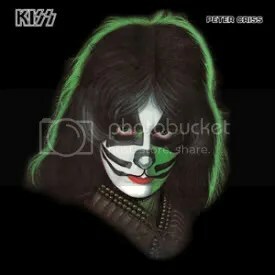 For KISS fans, I think this is worth seeking out, especially if you’re a fan of the original line-up and not only because of Peter Criss but because Ace plays guitar on a few of these songs. With the coolest album cover of the ’78 KISS solo releases, Peter delivers the worst music. But hey, it shipped platinum, so what do I know? I believe this was the last of the solo albums I bought, I had put it off because I kept reading about how bad it was. I’ve always loved Peter’s voice and I couldn’t believe it was a bad as people were saying it was. Well, after about two or three spins to get a good grasp on the album, I’m pretty sure I never reached for this album again unless I was in a SERIOUS KISS mode. Really, it’s not horrible and if you like this style of music, it may be quite good, but I don’t have much of a taste for this hybrid of soft rock, big band, jazz and R&B music. A majority of this material was written in Peter’s previous band Lips. Oh well, for my own personal tastes, Peter would have better albums to come (but they also have been buried by critics and fans alike). 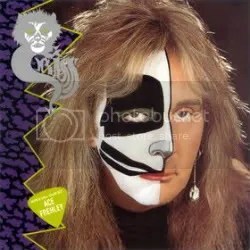 Despite being the most panned and least selling album of the four releases, KISS would enlist producer Vini Poncia for the next TWO KISS albums, Dynasty and Unmasked (generally considered the two worst KISS records), in an attempt to keep Peter happy and in the band.